Dominic is available for comment on independent financial advice issues in a wide range of different media. If you would like comment from Dominic on issues about lifestyle financial planning, industry issues or general independent financial advice please call us on 020 8542 8084 or email us. Solomon’s Independent Financial Planners has a blog with up-to-date business comment. To ensure you are kept up to date, please follow us at www.twitter.com/solomonsifa. Dominic has written pieces for New Model Adviser, FT – Money Marketing and FT- Financial Adviser and has commented for a variety of publications and social media outlets. He was one of five advisers recently asked to contribute a chapter to a new book for financial advisers about values based financial planning. 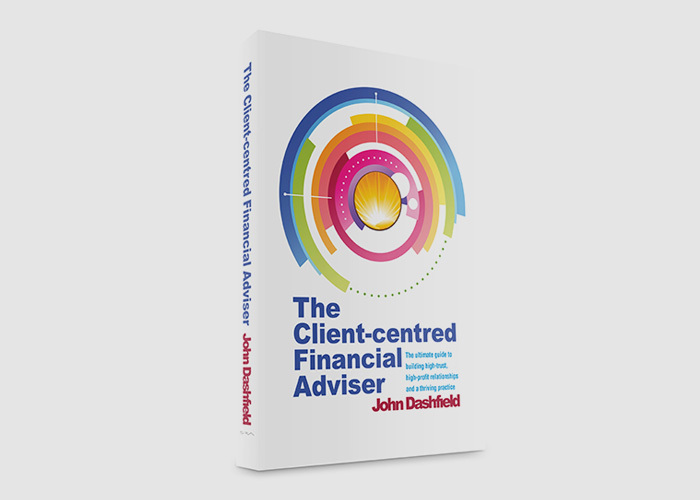 This has now been published “The Client-centred Financial Adviser” by John Dashfield. Solomon’s has also been short-listed finalist for the Professional Adviser Awards for “Firm of the Year” for London in 2014, 2015 and 2016. The results for 2016 are announced in February 2016, last year we were highly commended (runner up) in the same category. We have also received a “Top 200” firm (of firms in the UK) award from the consumer portal “VouchedFor” which enables the public to find genuinely independent advisers and post impartial reviews. We have appeared in The Times (25/10/2014), The Sunday Telegraph (29/03/2015) as one of the Top Rated advisers in the UK. VouchedFor is an ongoing “live” review system. Financial Times Financial Adviser Life and Pension Awards 2015 – Highly Commended finalist for Protection Adviser. Raynes Park based adviser, Dominic Thomas has been recognised as a Top Rated Independent Financial Adviser. Being Top Rated signifies that Dominic from Solomons Independent Financial Advisers is in the top 0.5% of advisers in the whole of the UK making Dominic a great resource for local residents to have on the doorstep. Dominic achieved Top Rated status as a result of having over 15 positive client reviews on VouchedFor.co.uk, the independent website which helps people to find a trusted Independent Financial Adviser, Mortgage Adviser or Solicitor. VouchedFor.co.uk is free and easy to use. Visitors search for advisers based on location and services provided. Advisers are then listed based on client reviews giving those seeking advice confidence the adviser can be trusted. Independent Financial Advisers help people to manage their finances and specialise in many different areas from pensions and retirement plans to long-term care, savings and investments and life insurance. Many IFAs also offer advice on mortgages. Any client of a local Solicitor, Independent Financial Adviser or Mortgage Adviser can review them on VouchedFor.co.uk. Reviews help others to find quality advisers like Dominic.